you gave us your discoball although you took scene it. 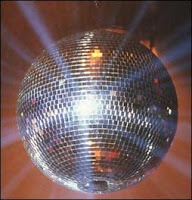 we told you we planned to put the discoball to good use -- send us your phone number so we can invite you to the party. ps we won't tell anyone that you took the tuna. even though it was for your 'cats'. Was it a sealed can of tuna?